Long before I joined the Real Estate world, I worked in Retail. I can't adequately describe how much I felt constrained by my role. Each day was a reminder of my MOST dreaded fear; being stuck in a 9-5 job without the prospects of evaluating the impact I have on my clients. I love to be in a career now where I can set goals and work towards achieving them; where I can interact with different groups of people. It's not hard to see why I joined the Real Estate bandwagon. That, coupled with the inspiration served by HGTV's Million Dollar Listing served as my inspiration to JUMP SHIP! 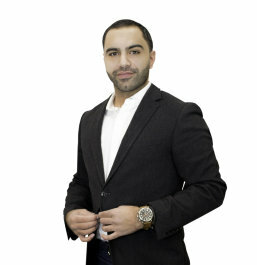 I now work as a Realtor in Metro Detroit serving sellers, buyers, and renters. I make a dedicated effort to represent my clients with utmost expertise. For most people, this is one of the largest financial decisions they will make in life. I strongly believe they should be represented professionally by an agent with equal belief in the importance of owning a home. With aggressive negotiation skills, extensive marketing techniques and unparalleled market knowledge, I have consistently maintained a track record of selling a variety of listings while catering to diverse clients needs. I make sure to arm my clients well-informed details as regards to their transaction to help them make the best decision. Away from my professional duties, I love to read, blog, exercise and sample new technology!